Police caught a burglar red handed this week after he broke into a convenience store. 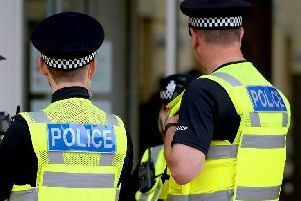 They were called to the One Stop shop on Denby Dale Road in Durkar at around 4.20am this morning after a disturbance was reported. They arrived to find the suspect leaving the premises. He fled on foot but officers quickly caught up with him. The 38-year-old was arrested on suspicion of aggravated burglary and remains in custody at this time.